This magnificent racing car is probably the most important racing MG of all, a car that founded the legend of the racing, supercharged MG Magnettes, known to enthusiasts at K3s, and gave the ‘Morris Garages’ marque (founded in 1923) its sports car credentials. This K3003 is one of three team cars raced in the 1933 Mille Miglia – regarded then as the toughest race in the world – in the 1100cc class. It was part of Earl Howe’s team and was driven by George Eyston and Count Giovanni ‘Johnny’ Lurani Cernuschi. Together they won their class, set a race record and took the team prize. This first win by MG in international competition started a series of successes for the Abingdon marque. Later in the year Tazio Nuvolari, the legendary, lantern-jawed Man of Mantova, raced this low roadster to victory at the Ulster Tourist Trophy at a speed that would not be beaten until 1951. 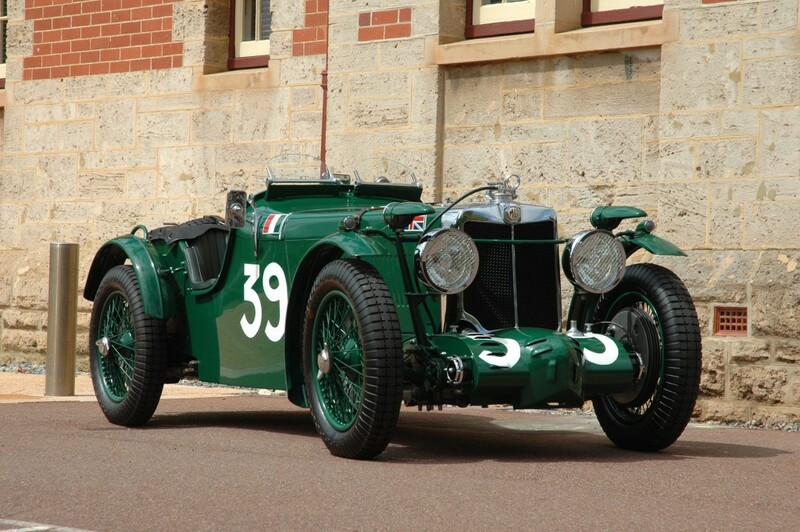 The car remained with MG long after the firm stopped motor racing, then went to a series of owners. It was fully restored in the 1970s. The success of the K3 was partly due to its formidable power-to-weight ratio and its fine handling, well proven in the Mille Miglia, a gruelling 1000-mile race on public roads of all qualities. An earlier test-drive of the circuit had revealed wheel, gearbox and brake weaknesses that were carefully modified by MG at Abingdon. Three team cars were built and shipped to Genoa in March 1933, to be driven by Eyston/Lurani, Howe/Hamilton, and Henry Birkin and Bernard Rubin. This last car had to retire with a broken valve but the others raced on to break all class records and take 1st and 2nd in class and the team prize. This, the first in a series of K3 successes all round the world, established it as one of the greatest racing cars of all time.